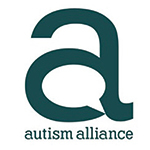 Spectrum ASD provide residential care for adults and children, education and outreach support for individuals and their families who are affected by autism. The individuals’ needs and the principles of positive behavioural support (PBS) and person-centred planning are the foundations of everything we do. We engage with individuals to support them in making decisions about their lives and futures. We discover what their personal aspirations are in life and develop plans to suit each individual. We work with them to help realise their personal goals, whether it’s going to college, learning new skills, getting a job or moving towards independence. We aim to promote the health, development and well-being of each individual whilst encouraging and nurturing their specific interests. We create person-centred environments which enable people to make their own choices and to lead fulfilling and productive lives as valued members of society. Adult and children’s residential services, outreach support team, an open drop-in centre – The Pearl Centre and an educational centre called Three Bridges.